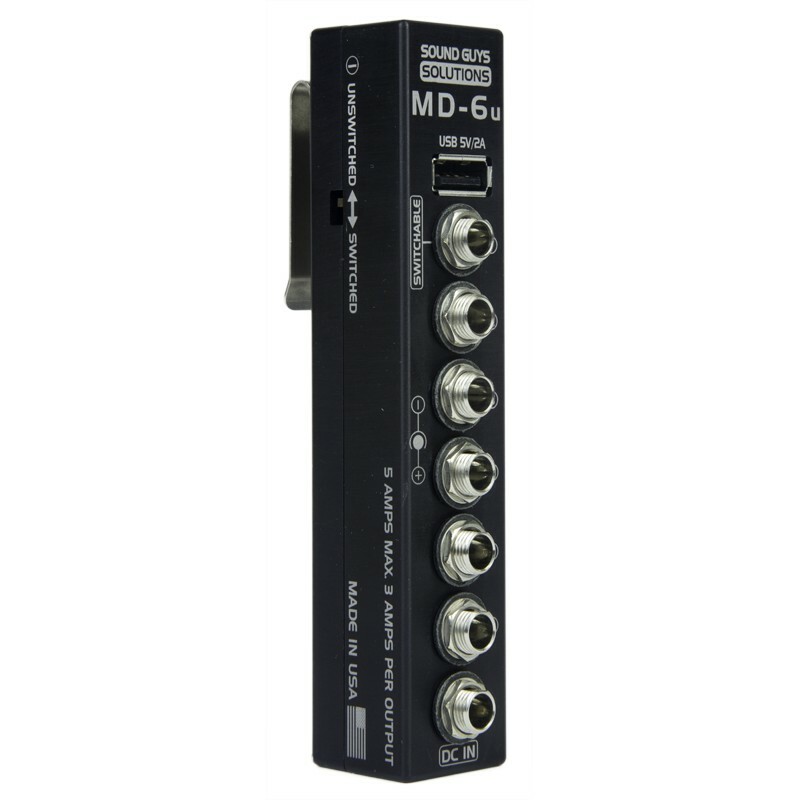 The MD-6U is a space saving solution for ENG battery power distribution. It's thin profile (5" x 1" x 1.2") allows for a little more precious space in the sound bag than other types of units. 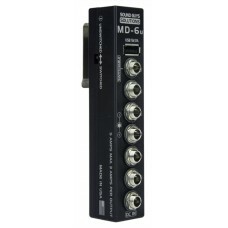 All of the power connectors run down one side of the MD-6U vertically (5 switched power outputs, 1 selectable, 1 USB output, and 1 power input). 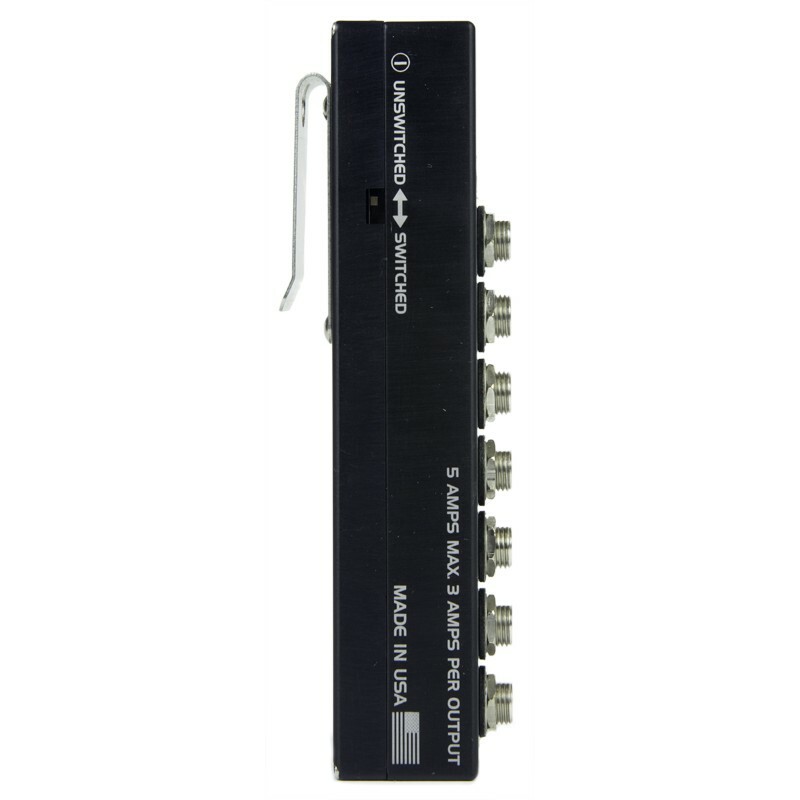 This will allow cables to be inserted and removed with ease, no longer requiring the removal of neighboring connectors. 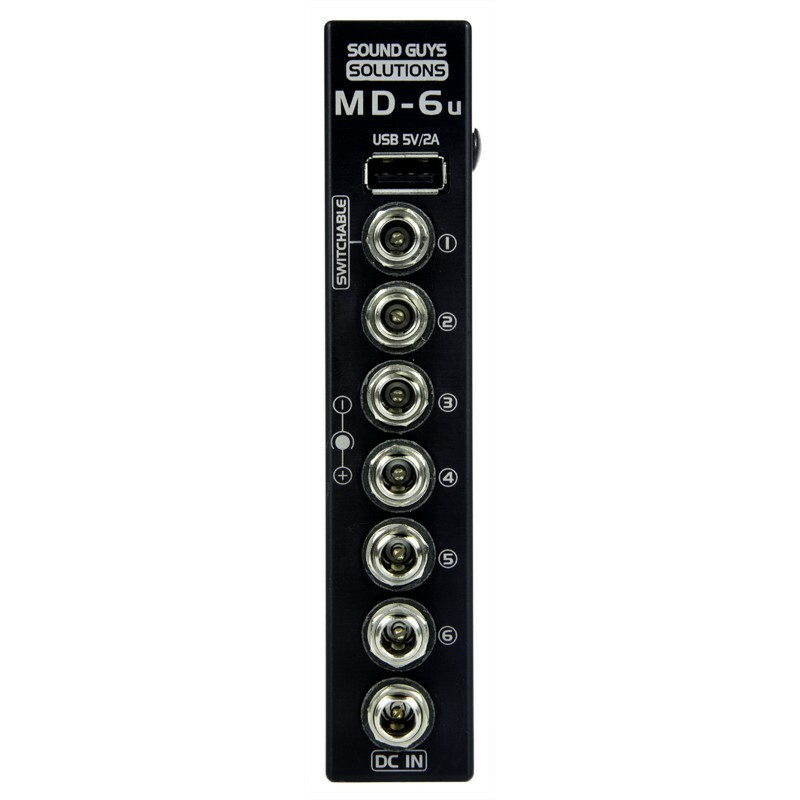 The reasoning behind using the same jacks for input power as for output power is the fact that you can easily use all right angle connectors, further increasing the slim nature of the MD-6. • Size: 5" x 1" x 1.2"